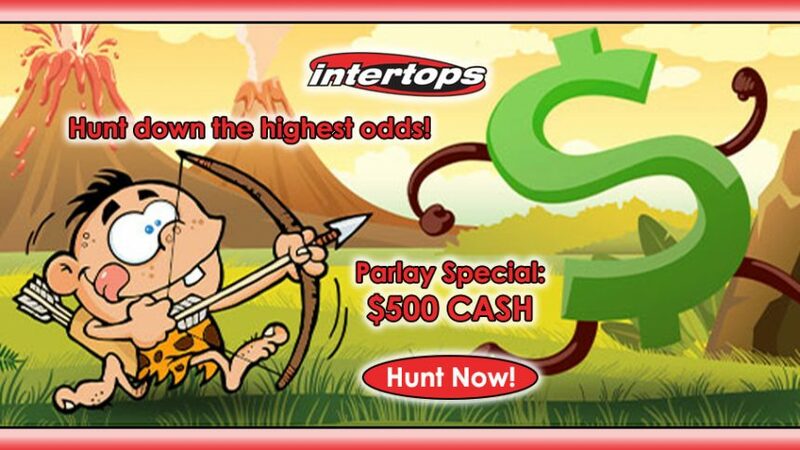 Hunt down the rich, green beast and trade it to Intertops Sports in exchange for the Parlay Special Bonus worth $500 CASH! Realize your dreams of becoming a bonafide hunter with Intertops Sports every single month to get the Parlay Special Bonus. Beat other players on the leaderboard by accumulating the highest total odds on your winning parlay wagers throughout each month, and you’ll receive $500 Cash Prize at the start of next month. Make sure to check the Parlay Special Bonus leaderboard regularly to see what your standing is; if you happen to be lagging behind, then place a few more parlay bets to ensure you keep up with the other hunters at Intertops Sports. There’s no bonus code for this offer; all you have to do is opt-in for the Parlay Special Bonus and begin your hunting adventure in collecting the highest odds throughout the month to get the $500 Cash Prize! But the best part about the Parlay Special Bonus is that every month you’re given a new opportunity to start a fresh hunt for the beast that’s worth a cool $500 CASH! The NFL season is officially over with the Super Bowl having been played last Sunday (February 5), but don’t sweat it because there are tons of betting options available at Intertops Sports at all times. Some of the most popular markets at the USA online sportsbook are the NFL and NBA options, while the European-based sports are also among the hottest betting markets. 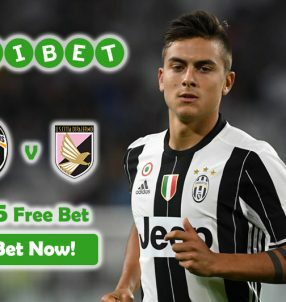 Soccer (European Football) offers loads of betting options on weekly basis, so we recommend you place parlay bets on this sports market to see yourself progress up the Parlay Special Bonus leaderboard to hunt down the beast carrying your $500 Cash Prize! There are plenty more options to explore and maximize your earnings on; the French Open (tennis) is set to get underway in a few months, while the NBA action is currently in full swing. You really have abundant option to make the most of your bets. Begin your hunt for the Parlay Special Bonus ASAP to catch the $500 Cash Prize that’s up for grabs! Keep in mind this offer resets itself at the start of every month, so you can always make even more money, month after month, if you place the right parlay bets and get the highest winning odds. Start hunting and get your $500 CASH prize with Parlay Special Bonus!